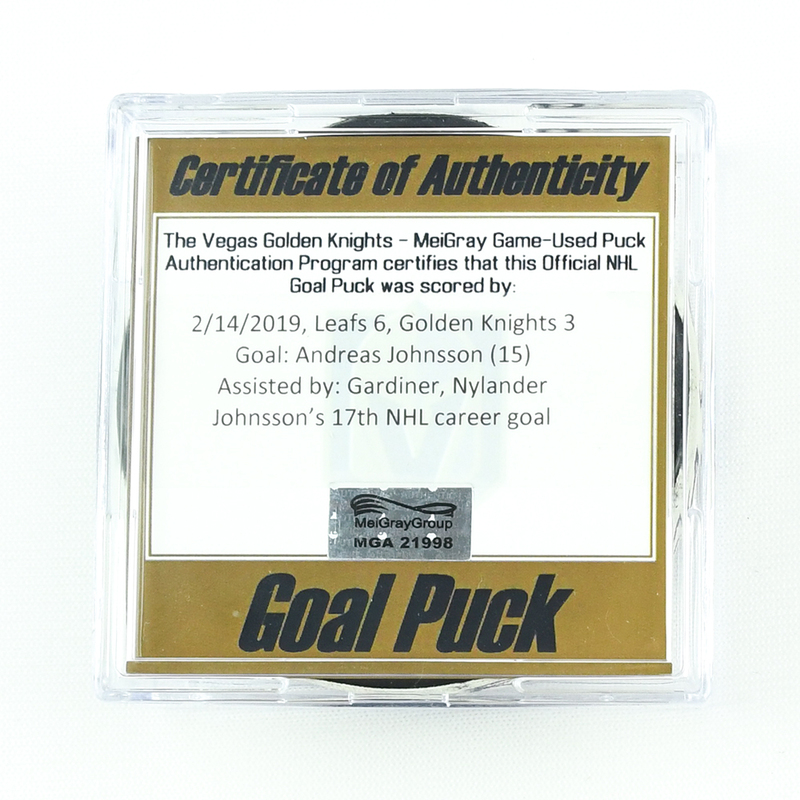 The MeiGray Group Game-Worn Jersey Authentication Program is proud to offer fans and collectors across the globe the opportunity to own a piece of history ... a puck used to score a goal by Andreas Johnsson of the Toronto Maple Leafs during the 2018-19 National Hockey League season. 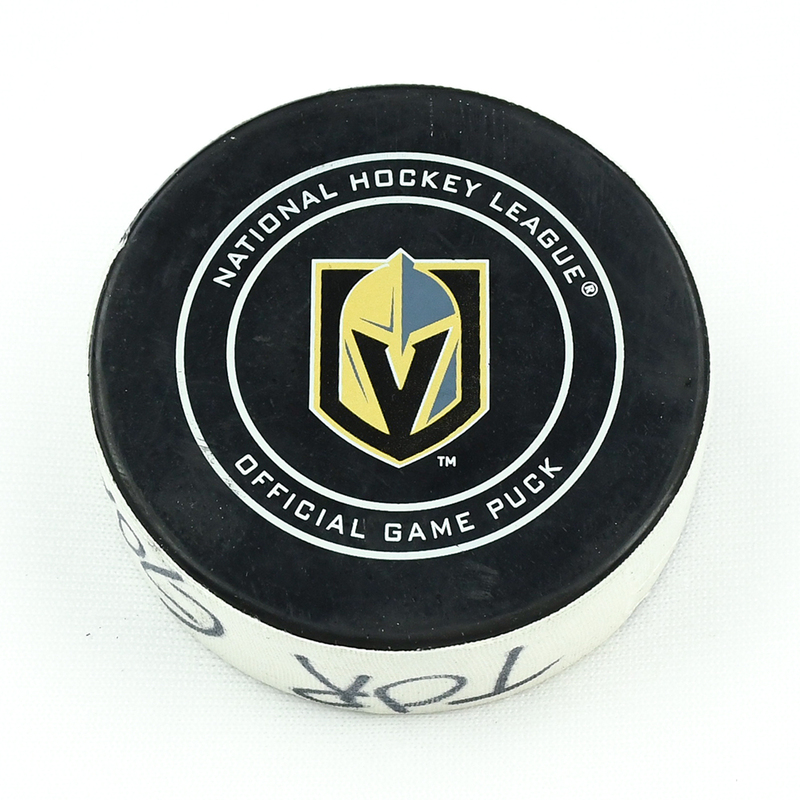 This is the puck that was used by Andreas Johnsson to score the 17th goal of his NHL career. 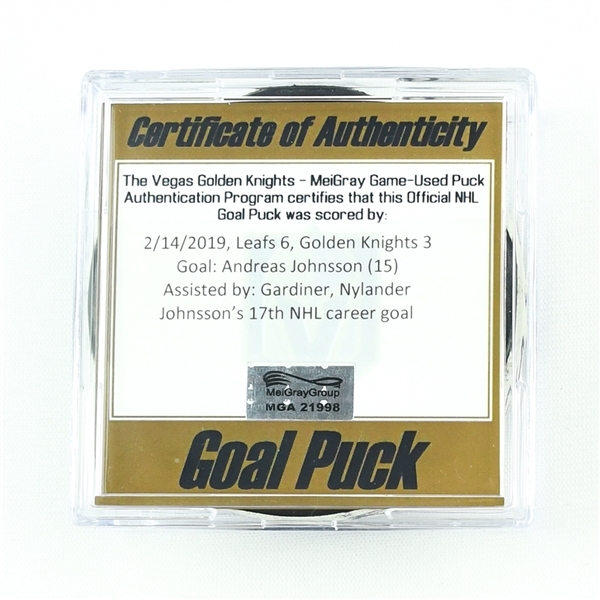 The goal, Johnsson's 15th of the season, was scored at 13:14 of the first period and was assisted by Jake Gardiner and William Nylander. 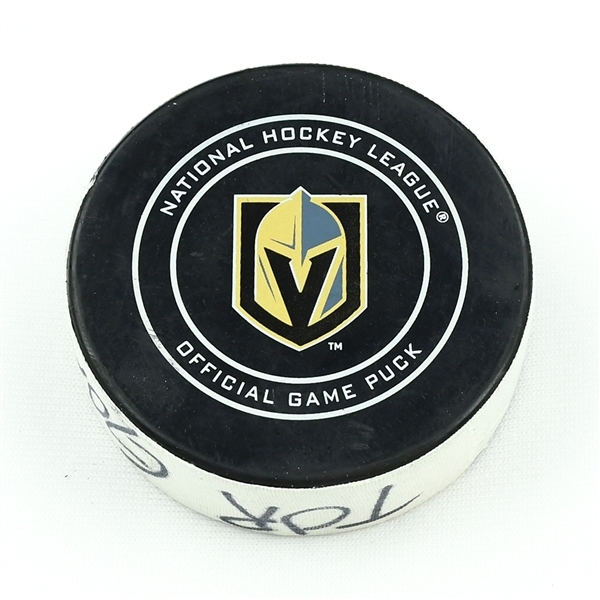 The Toronto Maple Leafs defeated the Vegas Golden Knights, 6-3, on February 14, 2019 at T-Mobile Arena in Las Vegas, NV. 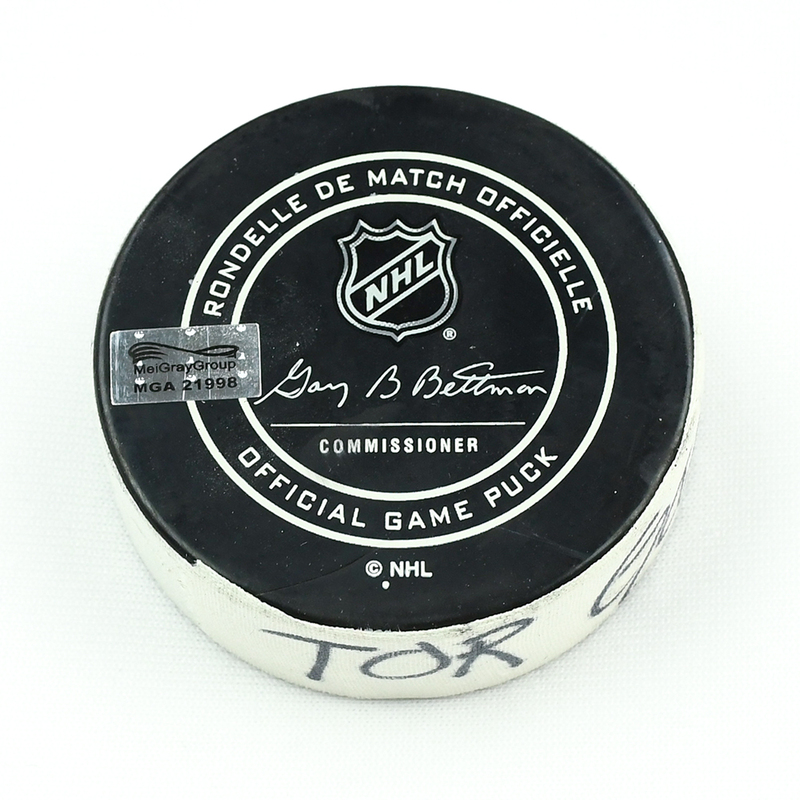 This puck is registered into the MGG Game-Worn Jersey Authentication Program as number MGA21998.